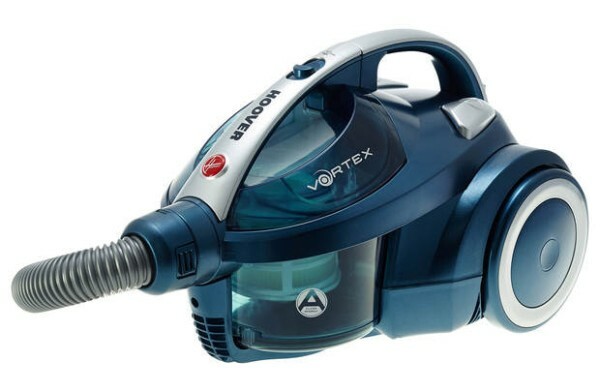 Product information "Hoover SE71VX04 Compact Bagless Cylinder Vacuum Cleaner"
If you are short of storage space, or simply dislike using heavy upright vacuum cleaners, this Hoover Vortex cylinder vacuum is the perfect choice. Providing powerful cleaning, the vacuum cleaner comes with a combination floor nozzle so you can clean both hard and carpeted floors. It has a class A energy rating so it is efficient to use, and features an easy to empty 1.5L bagless dust capacity as well as telescopic tubes for reaching high up so you can give every inch of your home a great clean. This Hoover Vortex vacuum cleaner is lightweight and compact, perfect if you have reduced storage space as it can simply tuck away. The washable HEPA filter captures and traps household allergens and dust for cleaner air which is perfect for allergy sufferers. With fantastic suction and a Class A energy rating, the efficient vacuum can save you time as well as money on your energy bills. It has a telescopic extension tube for maximum reach and a crevice nozzle to clean into corners for a thoroughly clean home. The 5-metre cord provides you with more freedom and cleaning time without stopping to change plugs, ensuring a much faster clean. Related links to "Hoover SE71VX04 Compact Bagless Cylinder Vacuum Cleaner"
Customer evaluation for "Hoover SE71VX04 Compact Bagless Cylinder Vacuum Cleaner"